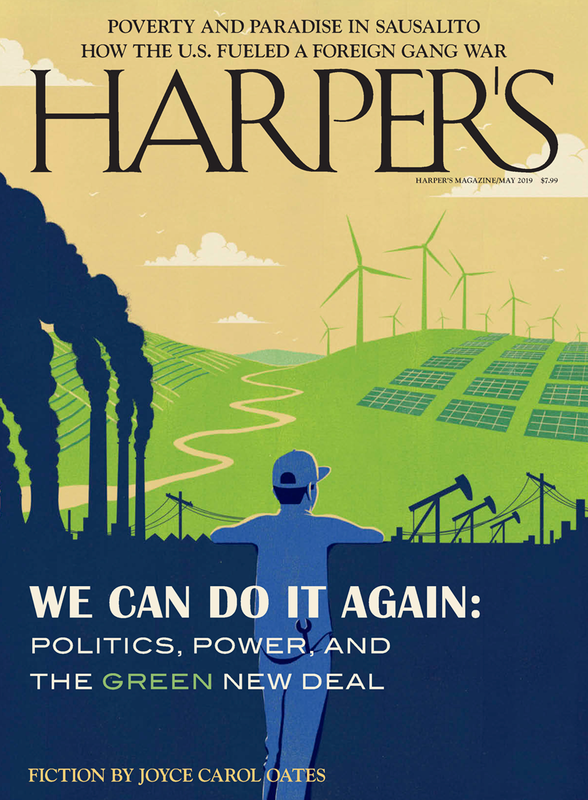 This month’s Harper’s features a wonderful poem by Les Gottesman entitled “Heidegger’s a.m.” which presents some Heideggerian phenomenology with caffeine and an unmistakably ironic base note. “Coffee grounds/the problem in ancient inquiries/concerning being not being beings,” Gottesman writes. Heidegger is a problematic character – he shows outward signs of greatness, he delivers a devastating critique of modernity, he offers captivating readings of many philosophers of antiquity – readings that make them undeniably relevant to mankind in the nuclear era. On the other hand, his character is marked with so many reprehensible traits. His betrayal of his great mentor Edmund Husserl. His decision to join the Nazi Party. His unforgivable Rektoratsrede in which he debased one of Europe’s great universities with absurd, hate-tinged politics. And his use of his podium to destroy the remaining vestages of academic freedom in Freiburg. His incomprehensible love-hate relationship with a largely Jewish entourage: Hannah Arendt, Hans Jonas, Jacob Klein, Karl Löwith and Leo Strauss. He was embarrassingly misdirected at an historically critical moment. Heidegger faced a fork in the path of his life, and he took the easy and morally compromised route rather than the difficult and righteous one. So what remains to be salvaged from the life of Martin Heidegger? For me, he was a useful tool for the understanding of his intellectual progeny. But Heidegger himself? It makes me wince. I think back to hearing a tape of a discussion that occurred more than thirty years ago at St. John’s between Leo Strauss and Jacob Klein in which they speak in a flustered way of “him,” the great one whose name is so difficult to mouth. Their octogenarian voices are filled with a curious mixture of marvel and contempt; for it is clear that Klein and Strauss continued to view Heidegger as what the Germans call a Respektsperson, even as they saw in him an enemy. How could this man who taught us so much have turned out to be an enemy? They seem to ask. Some twenty kilometers outside of Freiburg at an elevation of some thirty-five hundred feet stands a small hut in the Black Forest which figures prominently in Heidegger’s life and works. I went there once many years ago, having read that Hannah Arendt had been there to visit her lover and thinking that a walk in the woods might be just the thing. It was an early summer day, but then – as Heine says – “Summer in Germany is but a winter painted green.” (Like today – I write this on board a German ICE train, sailing down the fringe of the Black Forrest, not at all far from Heidegger’s Waldhütte, and the temperature has barely cleared 50 degrees). It was cold and pouring rain, and I decided the better part of valor remained in not pressing through the woods and getting drenched. Lunch and a Schnapps at a Freiburg Gaststätte seemed far more attractive. However, the current issue of Cabinet Magazine demonstrates that Leland de la Durantaye is a hardier soul than I, because he made the trek, and lived to recount it. Moreover, he uses the visit as a marvelous base to talk about Heidegger and his times. His article manages the unlikely feat of making a discussion of Heidegger the thinker and Heidegger the man something at once entertaining and enriching. Moreover, he does a good job of warning his fellow hikers about the poisonous mushrooms that line the trail. Durantaye tells us he gets lost along the way, but don’t you believe it – this man is a skillful trailblazer. Durantaye masters perfectly the merger of time, place and being that is so essential to Heidegger. He does it in a way that seems almost effortless. Reading this makes me jealous. [Heidegger’s] preferred metaphorical register was that of the area around his hut: of forests and paths, of peaks and valleys, of dwellings and clearings, calls of nature and authentic connectedness with one’s environment. What seemed to most shape his language was the space before which I am now, dirty and disoriented, stood. Heidegger’s secret language, his esoteric approach, seem strange to us today, though for his time they were far less so. This was after all he generation that brought us Stefan George, with his curious aestheticism. George wanted not only his own language and style; he even insisted that his own peculiar type be cast for his books. Compared to George, Heidegger seems almost normal. But it is essential to Heidegger to understand his ferocious elitism. He understood that the process of philosophical dialogue was one maintained from mountaintop to mountaintop, to borrow the powerful metaphor of his fellow Swabian, the philosopher-poet Friedrich Hölderlin, whose works so deeply influenced Heidegger. The one bone I would have to pick with Durantaye in his recounting would be his decision to call the Black Forest a backwater and to compare it with the Ozarks. Having lived a while on its edge, I may suffer from a bit of local patriotism, but this comparison is absurd. The Schwarzwald and the Alemannic world around it may be rural, and their dimuitive-laden dialect may produce smirks in the faces of Germans, but they have played a vigorous – almost unequaled – role in German intellectual history. One thinks of Schiller, Hegel, Hölderlin, Kepler, Mörike, Wieland, and Heidegger’s contemporary–but in many ways his spiritual counterweight–Hermann Hesse, not to mention all the leaders of German liberalism from the 1848 revolution to Theodor Heuss, who hailed from this region. Life in the area was primitive and rural, in a sense, but this was hardly an intellectual backwater by any measure. Rather the opposite. One sign from the path in the woods that Durantaye describes so wonderfully sticks with me. “Wer groß denkt, muß groß irren” – it says. “He who thinks great thoughts is bound to make enormous mistakes.” What a wonderful apologia to put over the life of Martin Heidegger, though, I would reformulate it a bit, perhaps. There can be no question about Heidegger’s enormous mistakes, but about his great thoughts – on that there are still issues.